Fast, easy burning of audio to optical media. Is there a better alternative to Easy Audio CD Burn? Is Easy Audio CD Burn really the best app in Backup category? Will Easy Audio CD Burn work good on macOS 10.13.4? Easy Audio CD Burn is one of the best burning tools available now for macOS. 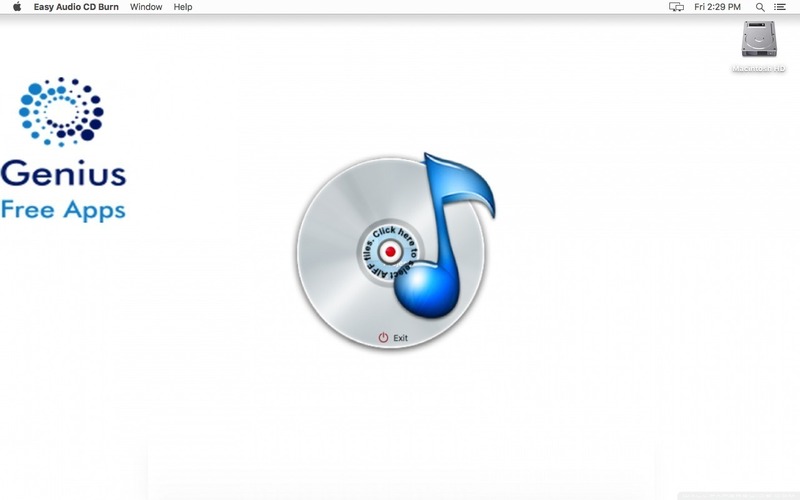 You can easily burn your favorite music files to disc, and use it anywhere you want. First of its kind, it uses a unique windowless interface, which will provides a superior user experience. Simply select the files you want to burn, insert a blank disk, and that's it.